The Itelmens use the self-designation itenme'n-itelmen which means 'an inhabitant of dry land, a human being'. Since the first written data in the middle of the 18th century (S. Krasheninnikov), the Itelmens have been known as the Kamchadals, that is, the inhabitants of Kamchatka. The Russian equivalent was derived from kamchalo, the name that was used by the Koryaks for Itelmens. The name Itelmens came into common use after the 1920s, when the self-designations of different peoples were fixed by the Soviet authorities. The name Kamchadal was used to denote russified Itelmens, later it came to denote all the Russian-speaking local inhabitants of Kamchatka. The Itelmens inhabit the area between Sedanka and Sopochnoye on the western coast of the Kamchatka Peninsula. In the 18th century they inhabited almost the whole of the peninsula, but their habitat later decreased considerably. On an administrative level the territory of the Itelmens forms a part of the Tigil District of the Koryak Autonomous Territory in the Kamchatka Region of the Russian Federation. The climate is mildly monsoon, the average temperature in January is -11 �C and in July +12 �C. The Itelmens form a rather small part of the total population of the Koryak Autonomous Territory. A slight increase in the population does not mean that the situation has improved greatly, for the number of native speakers is steadily diminishing. For instance, in 1979 about 350 people were recorded as speaking Itelmen, the same number as in 1959. A decrease in the number of native speakers of Itelmen means a respective increase in the number of the Kamchadals. Anthropologically the Itelmens belong together with the Koryaks to the Mongoloid North-Asian race. They are short and rather stocky. Wide faces with prominent cheekbones are characterized by the Mongolian fold. They have a darkish skin, and dark eyes and hair (dark brown or black). Beard growth is poor. The Itelmen language belongs to the Chukchi-Kamchatka group of Paleo-Asiatic languages. It is an incorporative language. Itelmen is supposed to have separated from the common proto-language earlier than the Chukchi and the Koryak languages. In the course of time, the Itelmens have been assimilated (mainly into Russian-speaking Kamchadals) and their habitat has diminished. Of all the dialects the following ones have survived: the Sedanka or the northern dialect, the Hairyuzov or the southern dialect, and the Nopan dialect. The differences between the dialects are not significant. The native speakers themselves think that the northern dialect is harsher, the southern more melodious. The Nopan dialect is the most prevalent, but it has not gained dominance over the others. As there are only slight differences between the dialects, and the language has not been researched thoroughly, the number of dialects has been variously recorded as 2 (S. Stebnitsky) and 4 (P. Skorik). Language. The morphological structure of the Itelmen language makes it similar to the other Paleo-Asiatic languages. The differences are of a phonetic nature and are the result of various external influences. 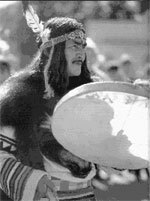 The Itelmens have associated mainly with the Koryaks, the Evens, the Ainus and the Negidals. The origins of the Itelmens are not very clear, but it is clear that they are native inhabitants of Kamchatka. They probably moved to Kamchatka some 6,000--7,000 years ago from the mainland of Asia, when the Chukchi-Kamchatka aborigines (including the ancestors of the Itelmens) had contacts with the ancestors of the American Indians. The Itelmens are traditionally fishermen and fur hunters and they are reputably the best herbalists among the Nordic peoples. The Russians came to Kamchatka in the 17th century. The first campaign was led by V. Atlasov in 1697--98, who began immediately with the help of Cossacks and Yukaghirs to collect tributes. (It was no accident that the Yukaghirs were there. Russian colonizers brutally used conquered peoples in the suppression of their neighbours.) At the beginning of the 18th century the conversion of the Itelmens to Russian Orthodoxy had already begun. The Uspensk monastery was built, and from the 1740s on Russian peasants were settled on the peninsula. The Itelmens found themselves under strong economic and ideological pressure. The agents collecting tribute were often neither fair nor honest and went unpunished. When the amount of fur was not considered to be sufficient, they requisitioned dried fish, seal oil, cedar nuts, and even sledges and boats. A part of the population was constantly kept hostage. The Itelmens expressed their anger in several uprisings (1706, 1711, 1731) and in 1740 when almost all the Itelmens rose to fight Russians. The uprisings were brutally suppressed and many Itelmens were deported and their tribes dispersed. Gradually the Itelmens had to resign themselves to the presence of the Russians. Following the example of the Russians they began to use iron tools, fishing nets, new utensils and clothes. The local Russians in their turn adjusted themselves to the environment of the Itelmens, and as a result of mixed marriages a mixed population, known as the Kamchadals, was created. Survival was hard for the Itelmens. The tax-collectors were not easily satisfied, and tributes were demanded even of the dead. Diseases (typhoid fever and smallpox, for instance) introduced by the Russians had a devastating effect. In the 19th century trading became a little more active. Firearms, ammunition, sugar, tobacco, tea and other usual colonial goods reached the territory of the Itelmens. Quite soon many people had debts, frequently as a result of a susceptibility to vodka. A tribal system and barter economy managed to survive until the time of Soviet collectivization. Despite formal baptizing, animism still held sway. Soviet power came to the Itelmens in 1921. Initially, on the surface very little changed. Collective work and an associated way of life was a continuation of the traditional ways, and the new planned economy was similar to tribute collecting. The new ideology attacked animism more fiercely, of course, than the old Orthodoxy had done and political propaganda was rife in schools and inherent in the recently created written language. There was a pressure to discard the old ways and to adopt the new Soviet traditions. By the end of the 1930s all teaching in schools was in Russian, and by the 1950s there was no longer any difference between the Russians and the Itelmens. The Kamchadals acted as an intermediate stage in the russification of the Itelmens. The native language is now used at home only, and in mixed marriages Russian predominates. A new alphabet and a written language, created in 1986, are without real foundation. This is an example of yet another short-lived campaign. The Itelmens received their written language during the Soviet period. In 1930 a unified alphabet for the Nordic peoples was created. It consisted of 28 characters and was based on the Latin alphabet. In 1932 an Itelmen alphabet, consisting of 27 characters was created at the Polytechnic of the Nordic Peoples in Khabarovsk, and sanctioned by the Research Department of the Institute of Northern Peoples in Leningrad. Then the publishing activity ceased. In 1980, following a decree of the Central Committee of the Communist Party of the Soviet Union on the development of the economic and social life of the Northern Peoples, it was decided to recreate the Itelmen written language. A new Cyrillic alphabet consisting of 32 characters and compiled by A. Volodin was published in 1986. There is no information that the alphabet was ever used. On representations of Itelmens all subjects and natural phenomena are allocated with spirits which live own life.